Dr. Stanley Alexander McDonald Richardson was born in Chatham Twp, on the 25th of November, 1890. His parents were Thomas Richardson and the former Mary Jane Brown. 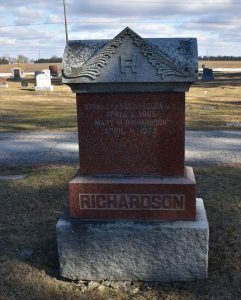 His parents farmed and Dr. Richardson was the youngest of 10 children. His siblings were John, Joseph, Margaret, Frances “Frankie”, Herbert, Milton, Jane, Isobel, and Lorne. 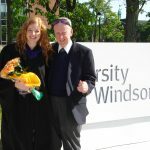 Dr. Richardson was educated locally and attended Wallaceburg District High School. 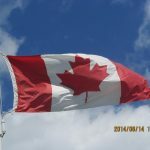 Dr. Richardson attended The University of Toronto Faculty of Medicine. He graduated M.B. in June of 1913. According to the 1928 Ontario Medical Register, Dr. Richardson joined the College of Physicians and Surgeons on the 25th of June, 1913. After graduation he practiced in Nystead, Ontario. Dr. Richardson married Mary “Marie” Mildred Piper on the 14th of April 1915 in Toronto, Ontario. She was born the 26th of February, 1888 in Dereham Twp., Oxford County, the daughter of William Isaac Piper and the former Mary Ann Gregg. Her parents were farmers and she had 7 siblings; Herbert Isaac, Ermina, Sarah Ellen, Edward, Myrtle Rose, Ethel Laverne and Ray Gregg. Dr. and Mrs. Richardson had 4 children; Myrtle, Verne F., Laird and Dr. Stanley “Jay” Richardson. 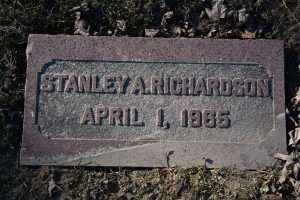 Dr. Stanley A. M. Richardson practiced in Simcoe (Norfolk Co.) and Port Lambton (Lambton Co.) but by 1921, Dr. and Mrs. Richardson had settled in Wallaceburg to raise their family. 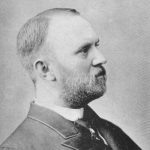 Dr. Richardson served as the Mayor of Wallaceburg, in 4 separate terms. He served in 1923, 1924, 1926 and 1934. When the Sydenham District Hospital opened in 1957, Dr. Richardson was named as the Chief of Surgical Staff. In his spare time, Dr. Richardson enjoyed gardening and boating. Dr. Richardson died on the 1st of April, 1965 while on vacation in Pompano Beach, Florida. 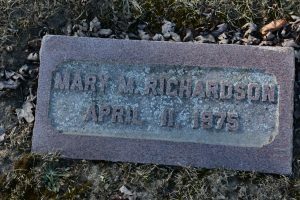 Mrs. Richardson died on the 11th of April, 1975. They are buried at Riverview Cemetery in Wallaceburg. 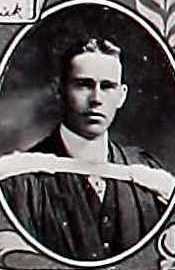 *His son, Dr. Stanley Jay Richardson also appears on the Chatham-Kent Physician Tribute website.